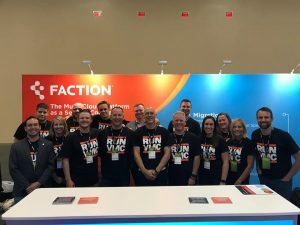 Apr 14, 2019 - Faction (factioninc.com), a Managed Service Provider for VMware Cloud on AWS with its headquarters in Denver, Colorado, has secured $14 million of new financing to fund continued growth. The investment would be used to broaden Faction's Hybrid Disaster Recovery-as-a-Service (HDRaaS) offering across public clouds, while enabling multi-cloud storage via deeper integrations with leading storage portfolio solutions and expanding their global data center footprint. Apr 15, 2019 - Turkish OTT BluTV Selects Global CDN Provider, Medianova - BluTV, a prominent Turkish subscription video-on-demand service with reach for their Turkish TV series in the Middle East, North Africa, and Latin America, has selected Turkey-based CDN provider Medianova (medianova.com) to cache and deliver their broadcasting content across these regions worldwide.